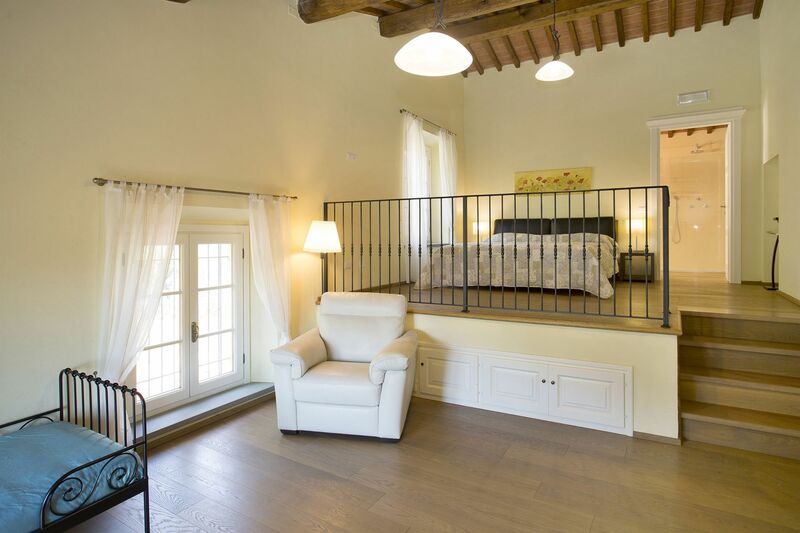 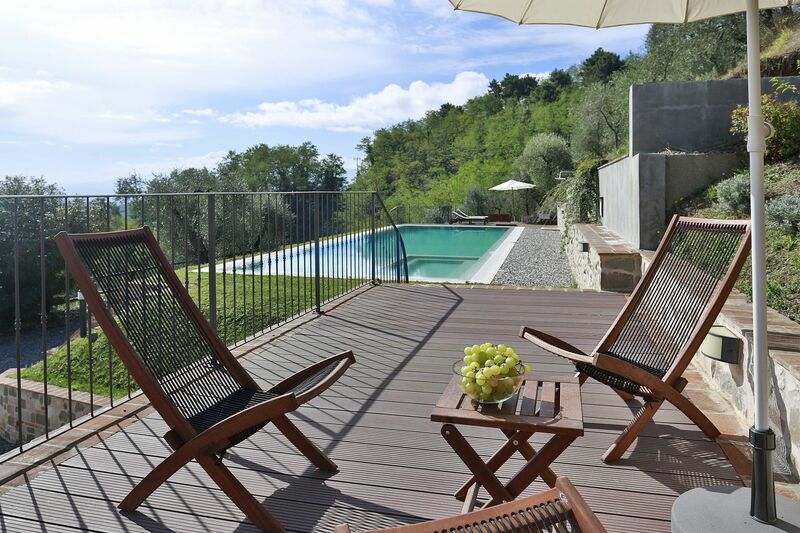 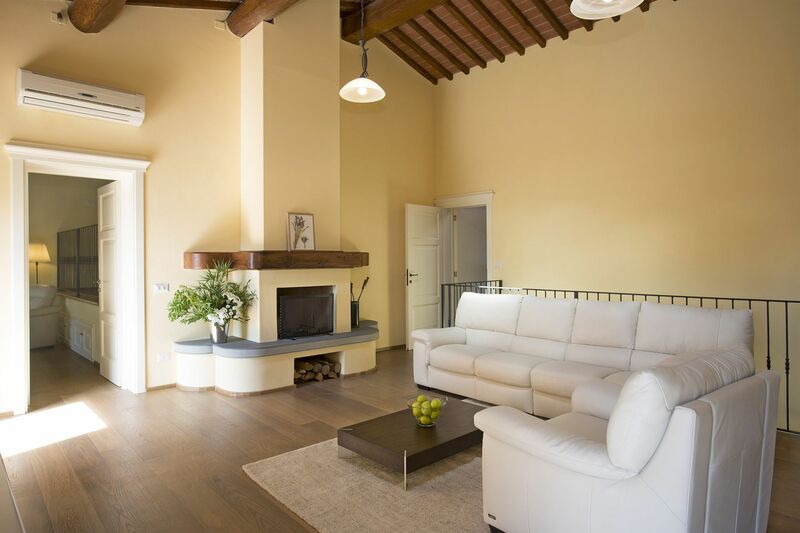 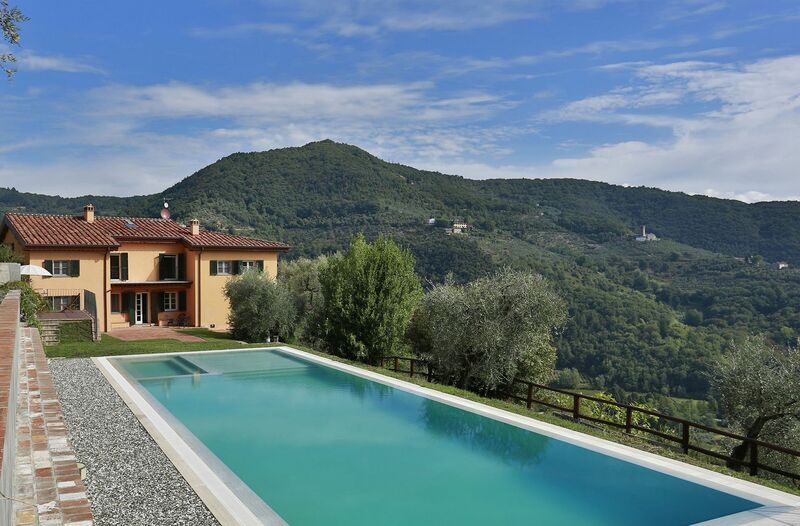 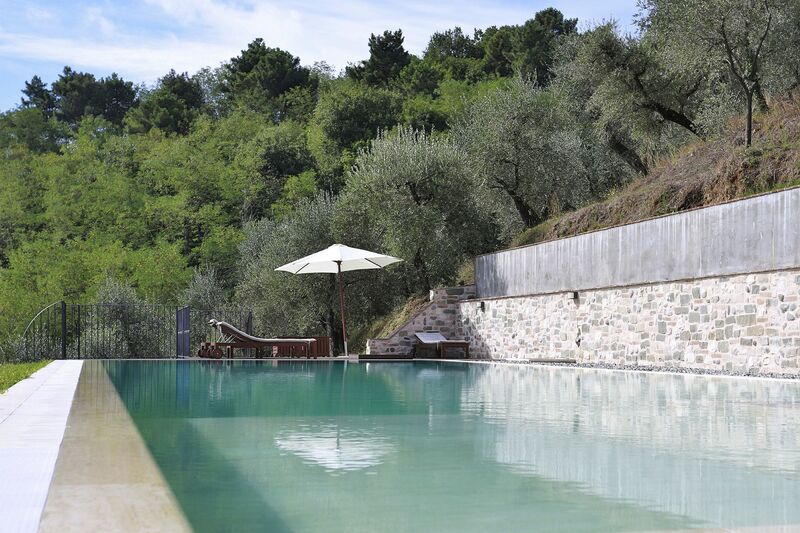 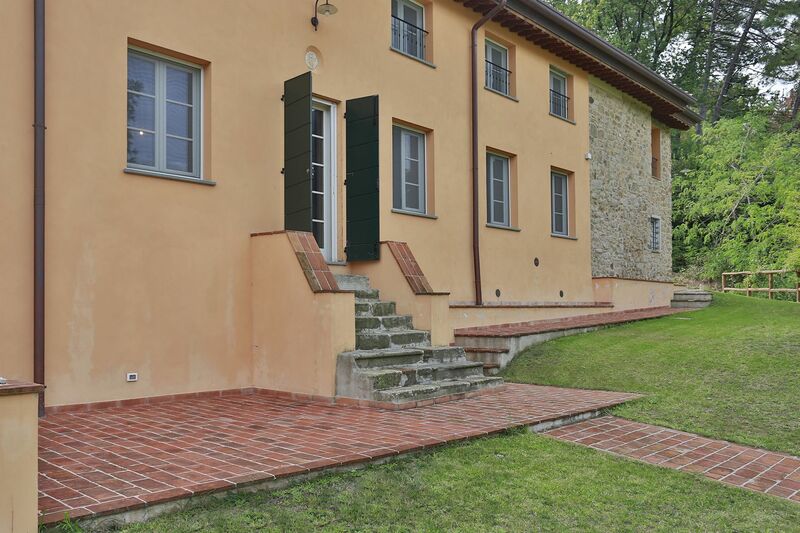 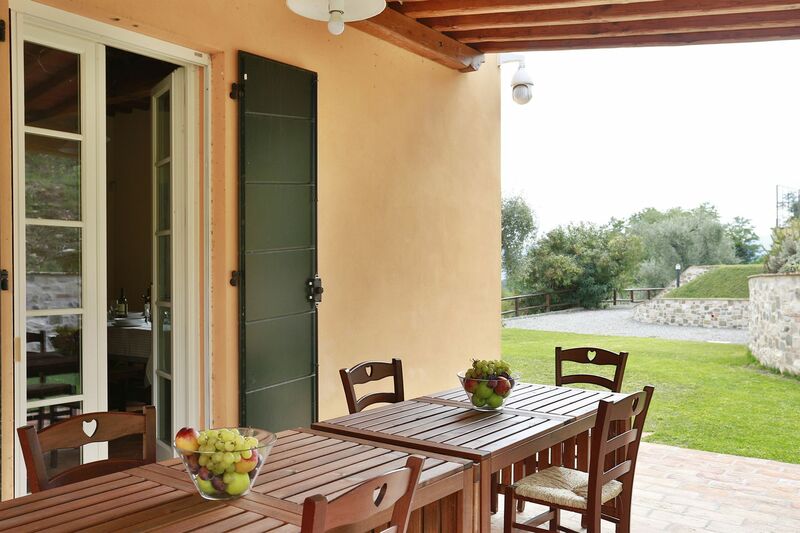 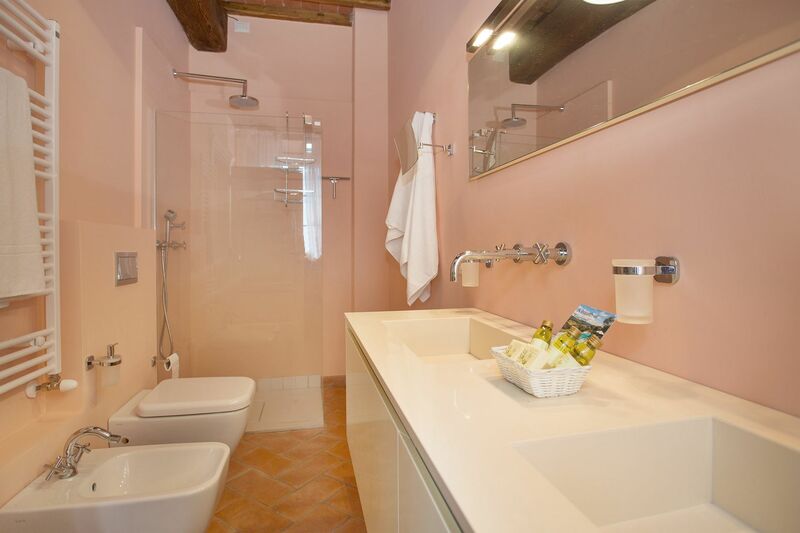 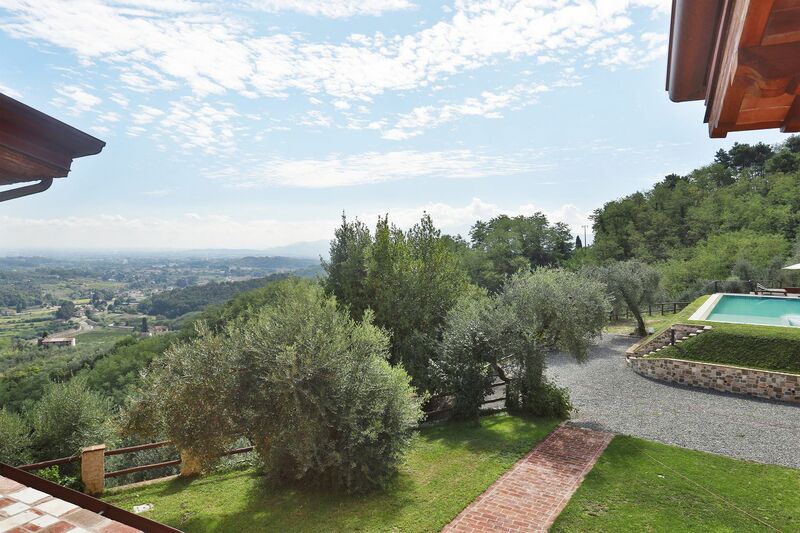 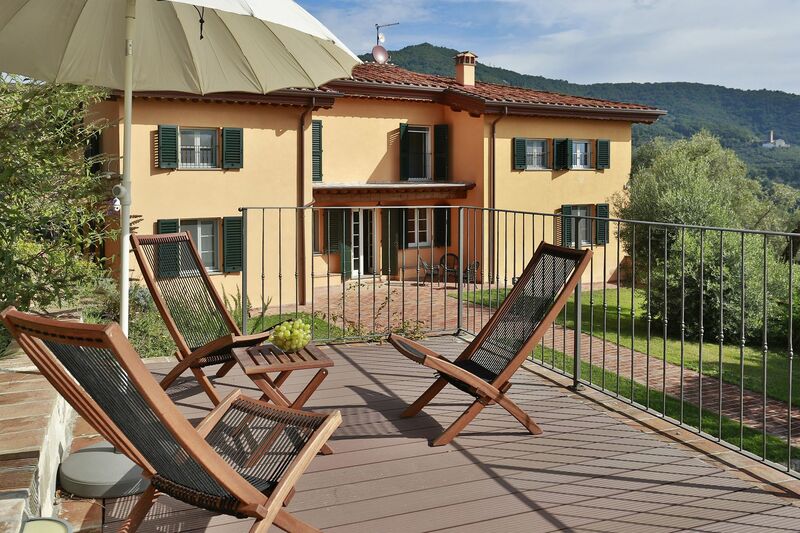 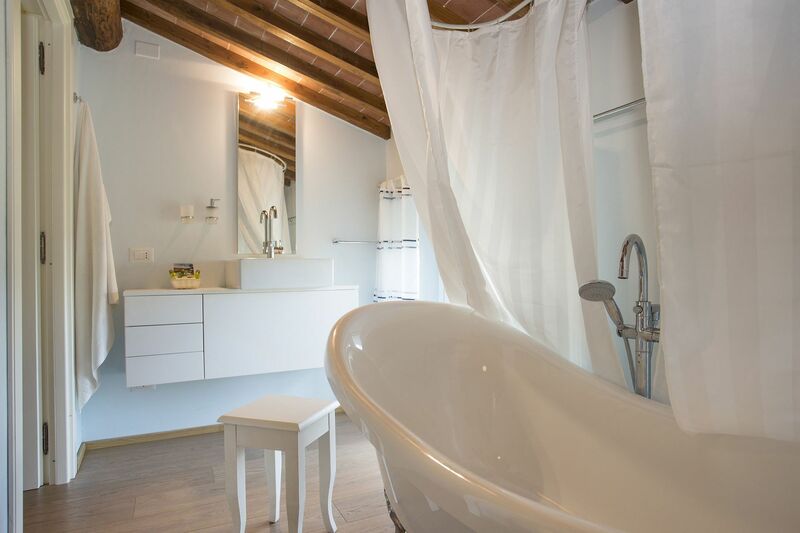 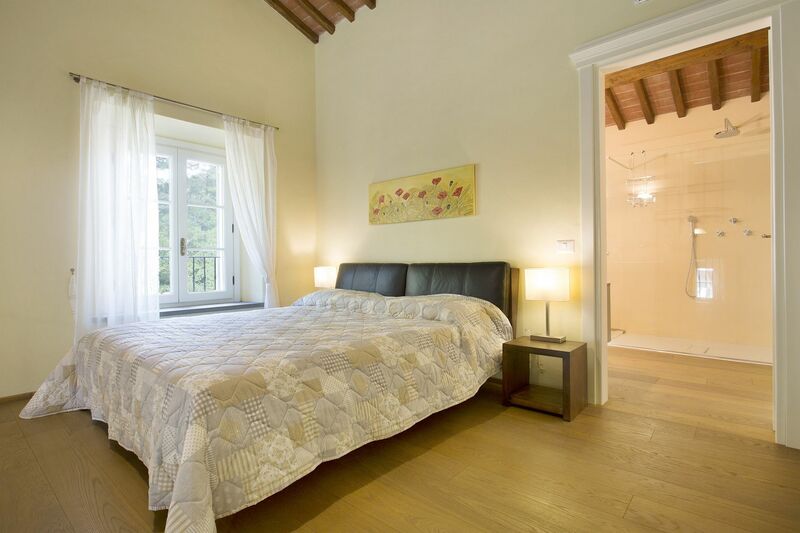 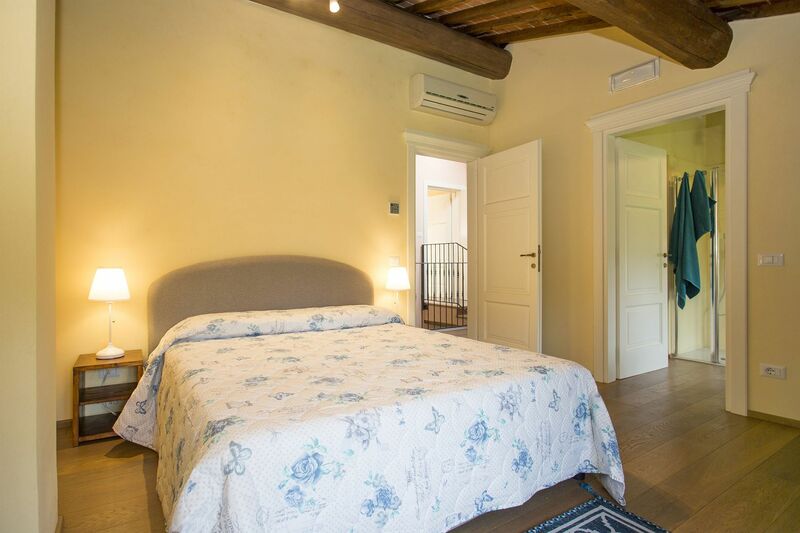 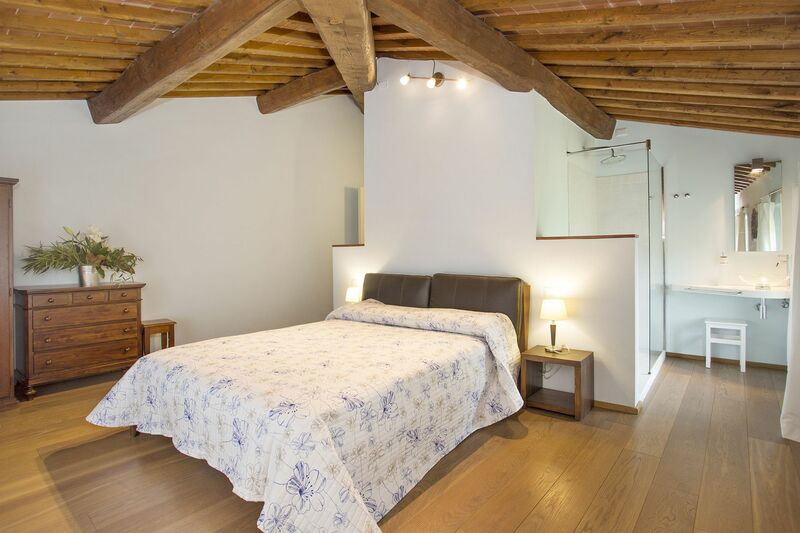 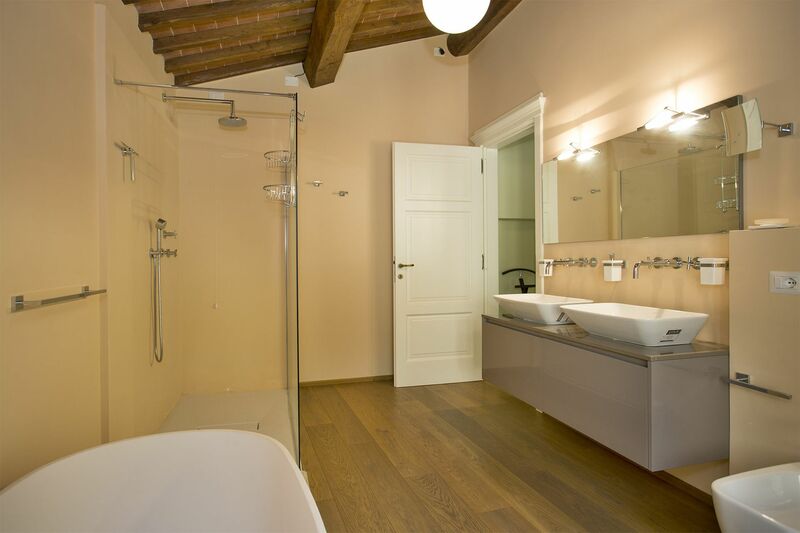 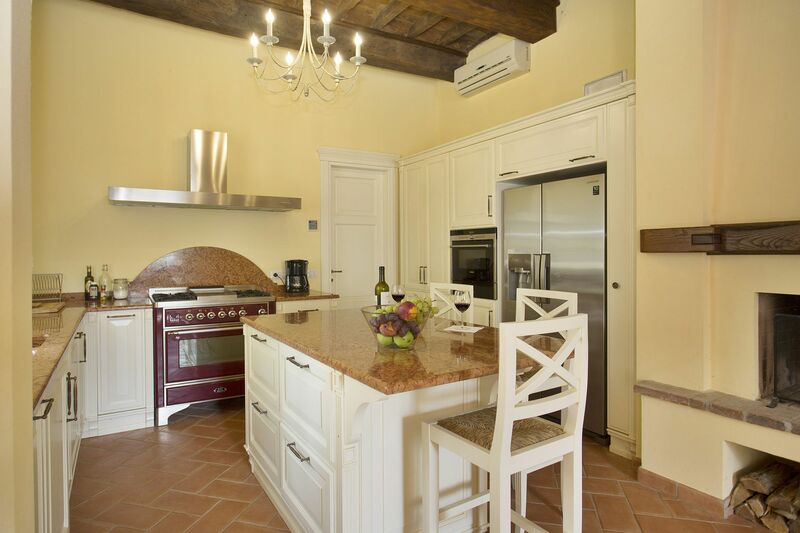 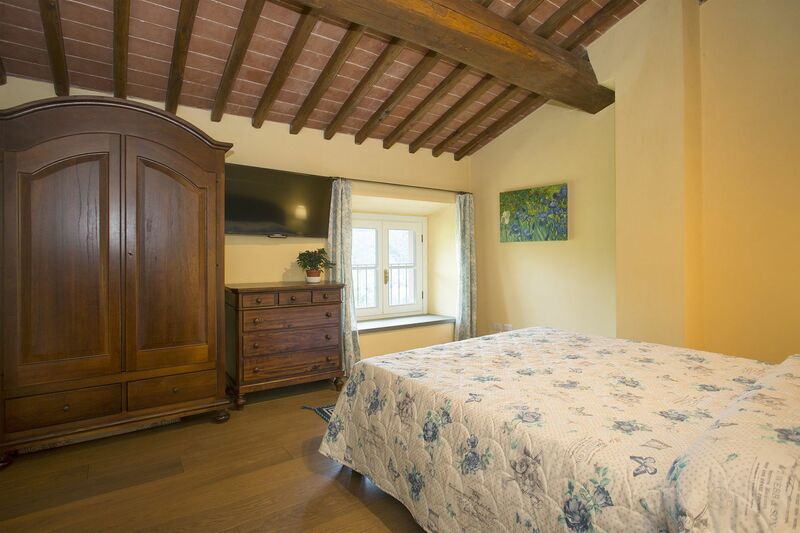 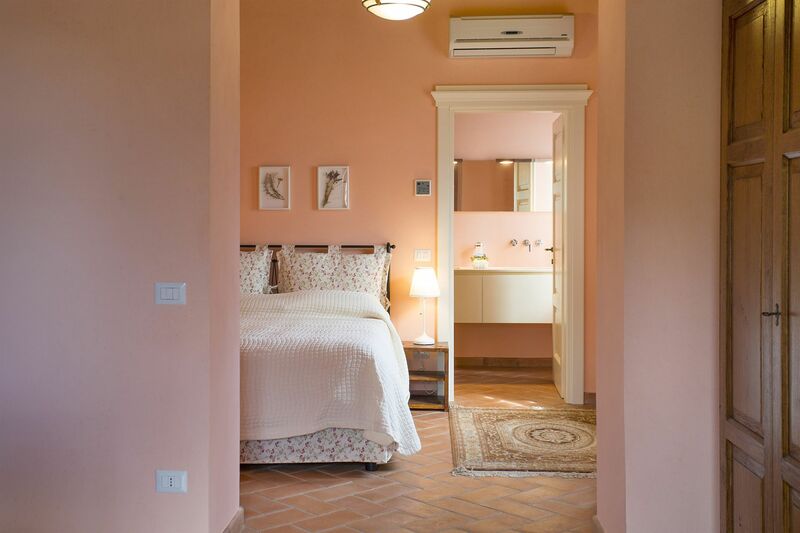 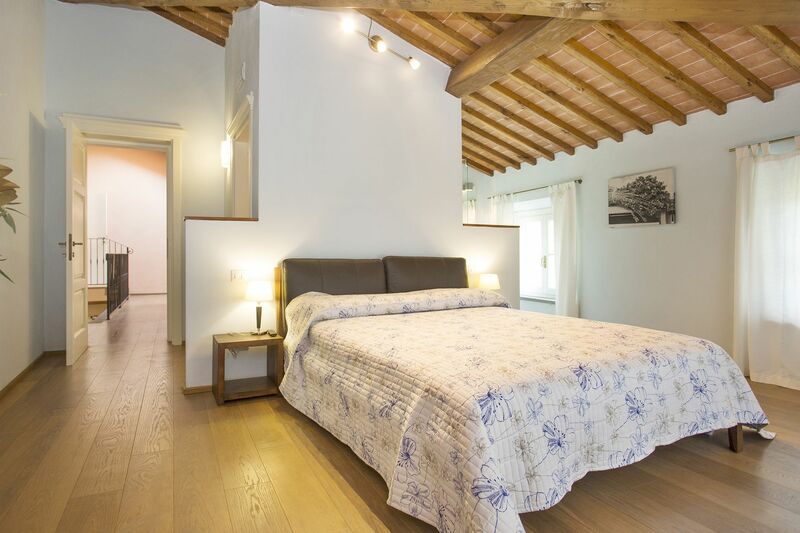 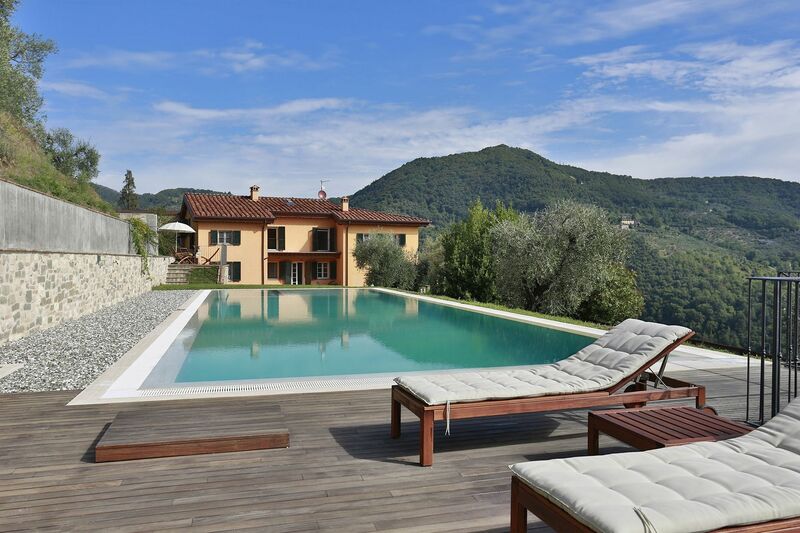 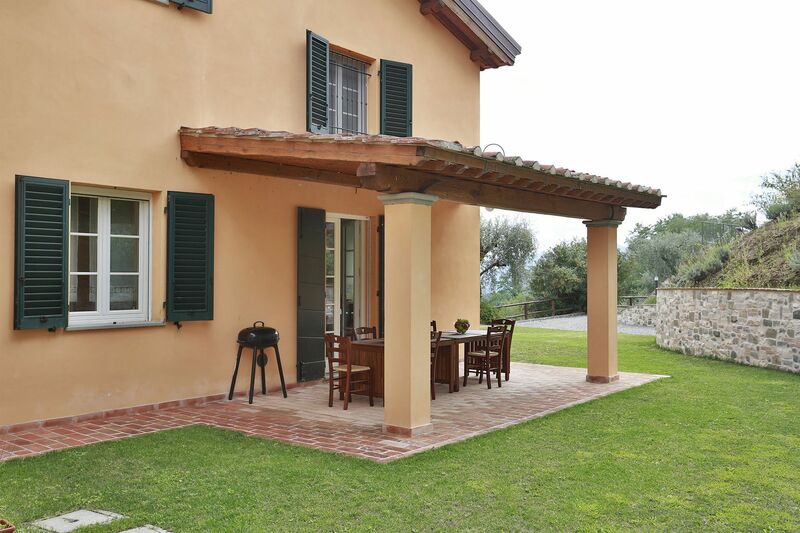 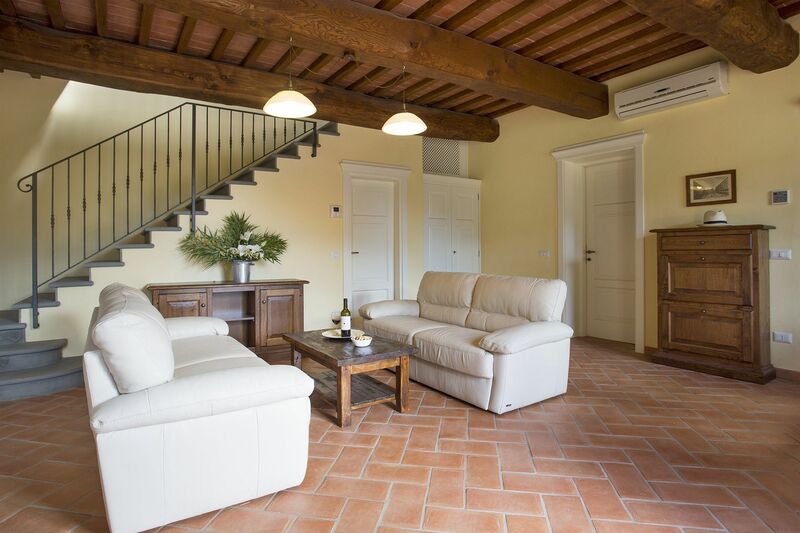 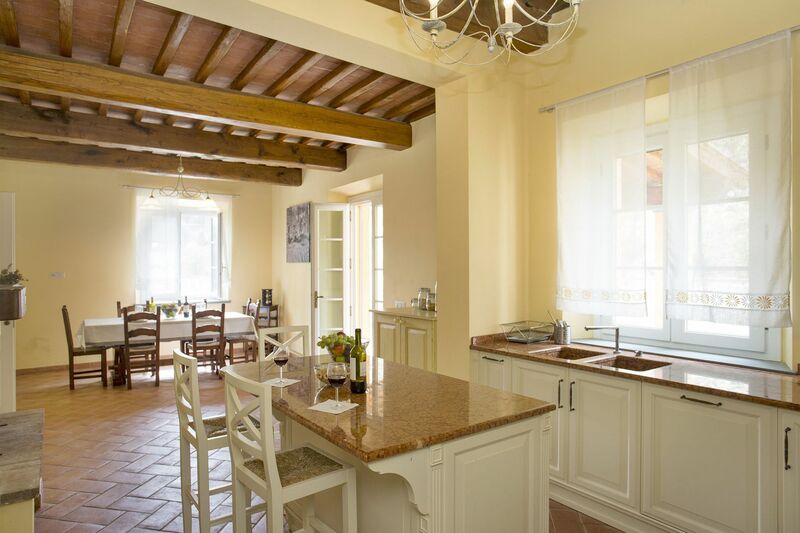 This comfortable villa is located in a beautiful hillside area of Lucca, particularly renowned for its wine and olive oil. 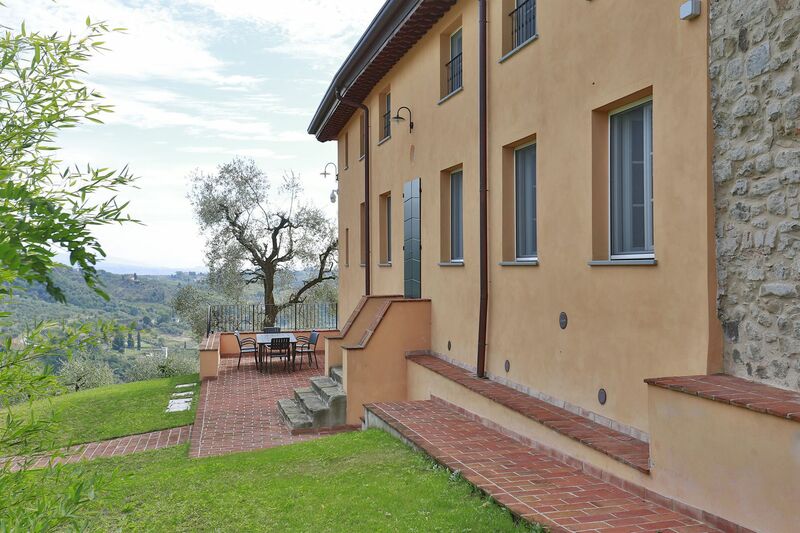 The property enjoys a favorable sunny position, up on the hills, with commanding views on the valley below. 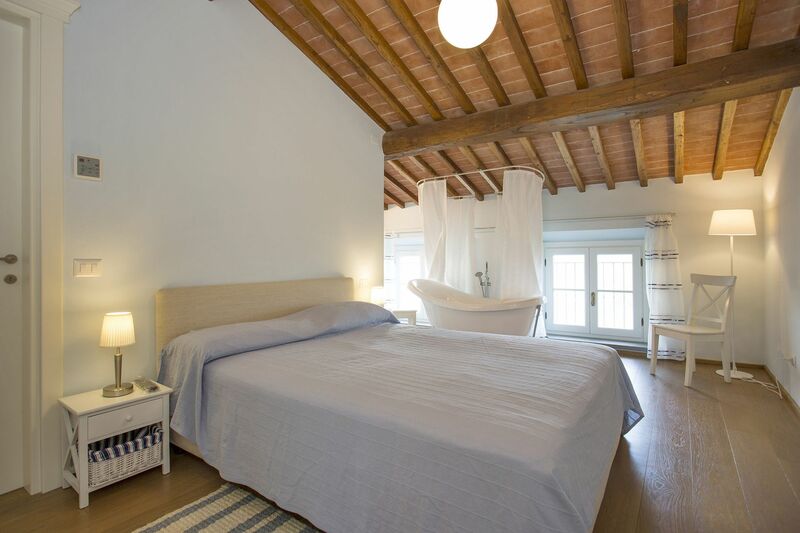 It was recently completely renovated and designed in a contemporary style, enhanced by modern comforts, such as air-conditioning in all rooms, flat tv in all bedrooms, mosquito nets, modern bathrooms. 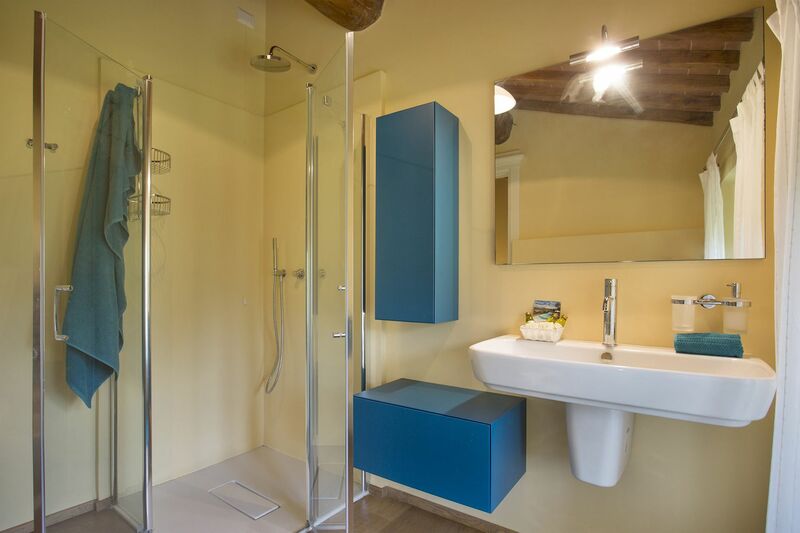 Styled with essentiality and functional interiors the ambience provides the perfect environment for a totally relaxing holiday. 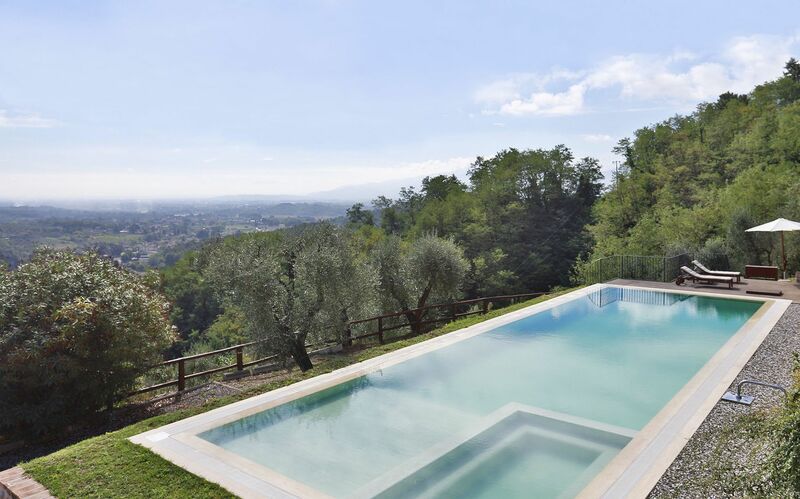 The same philosophy is kept on the outdoor amenities, where guests will enjoy the unusually big infinity swimming pool (17x7m) with internal Jacuzzi bath, and a covered terrace for delightful al fresco meals. 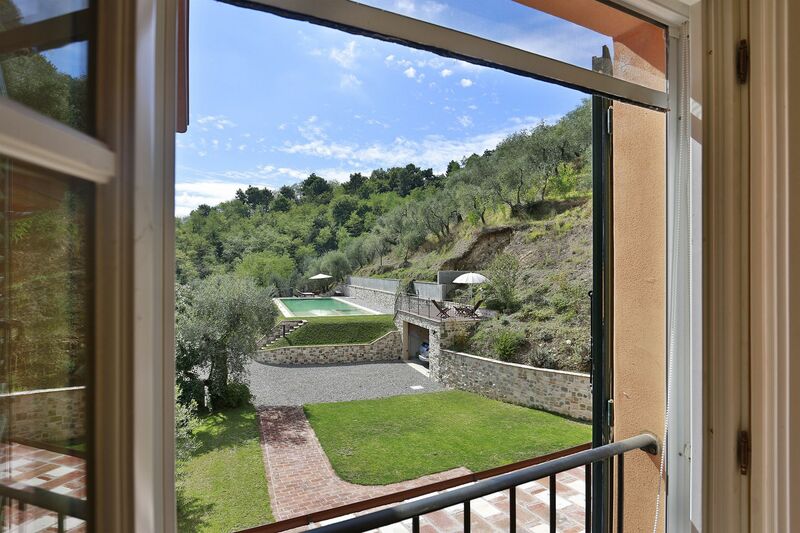 Being just a few kilometers from the town of Lucca the property is also ideally placed for daily trips to the city with plenty of nice shops and restaurants, or for sightseeing the region which offers within short drive historic and art towns such as Lucca, Pietrasanta, Pisa or the sandy beaches of Versilia coast. 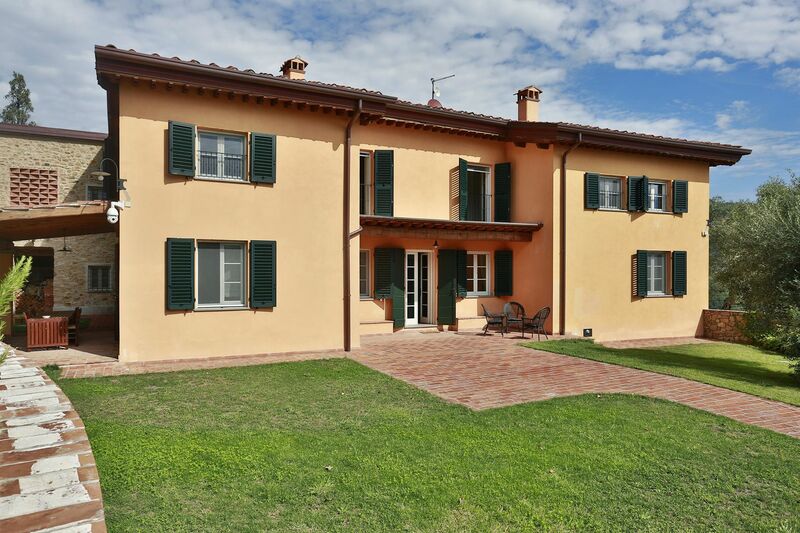 17m x 7m. 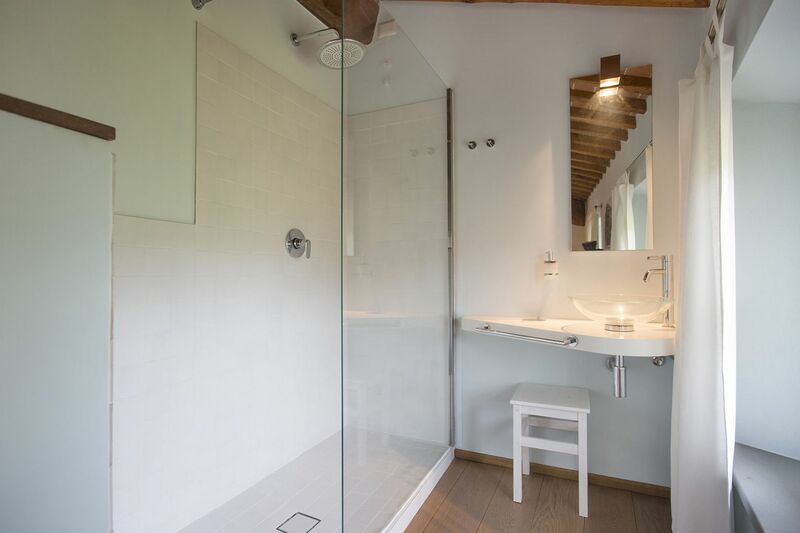 Salt water system. 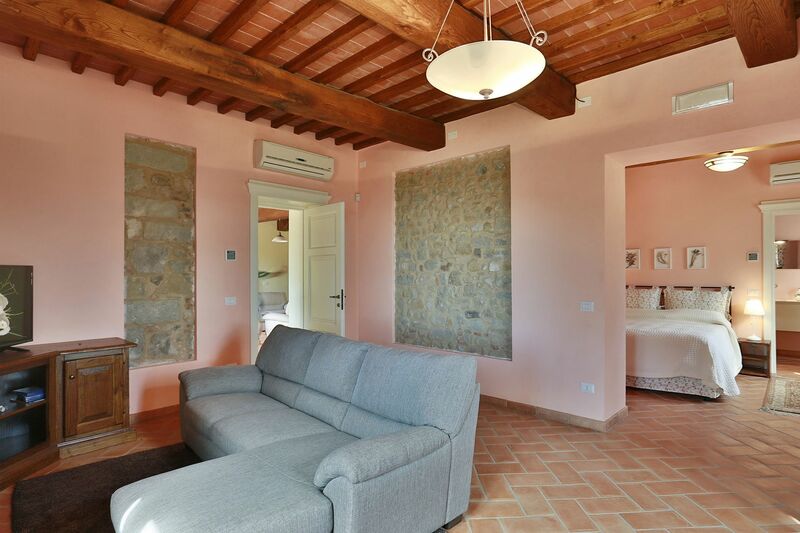 Entrance/sitting room; kitchen/dining with fire place opening on to veranda with table for outdoor meals and portable BBQ; master suite with sitting room and en-suite bathroom (shower); guest bathroom. 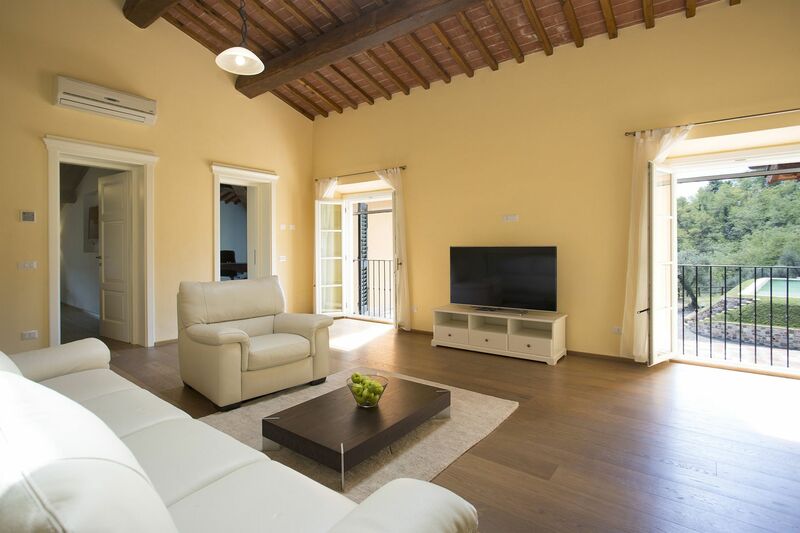 Sitting room with fireplace and TV; study with fireplace; master bedroom with bathroom en-suite (bath and separate shower); double bedroom with en-suite bathroom (bathtub and sink in the bedroom, toilet and bidet are separated). 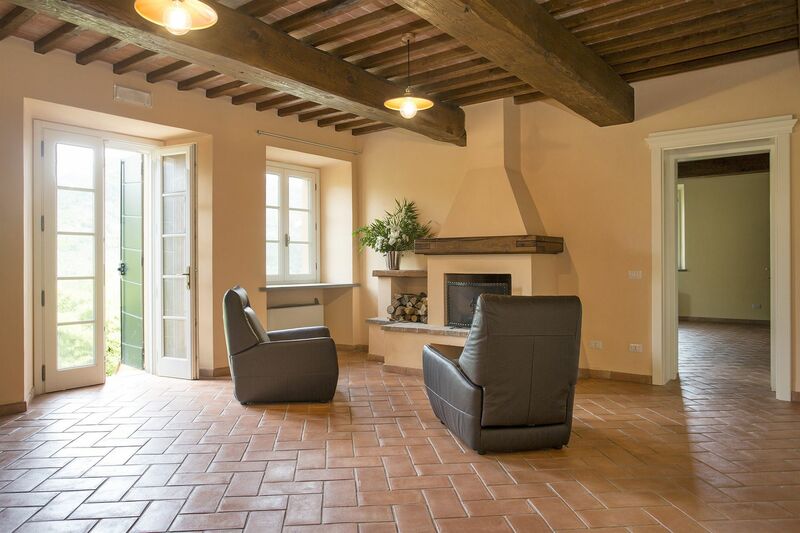 Entrance/sitting room with fire place. 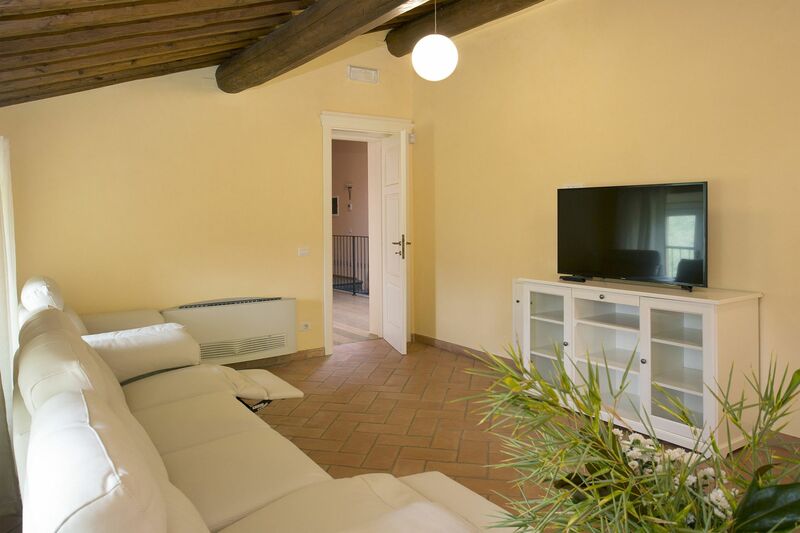 TV room with covered terrace, 2 double bedrooms with bathrooms en-suite (shower).